On October 5, UF College of Dentistry first-year D.M.D. 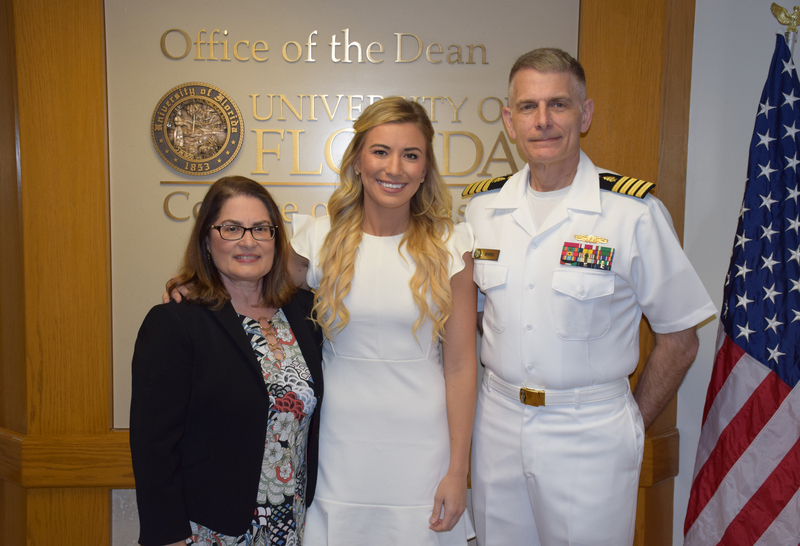 student Katherine Richmond was commissioned an Ensign in the U.S. Navy as part of the Health Professions Scholarship Program, continuing a tradition of service among faculty, staff and students at the college in all branches of our military. 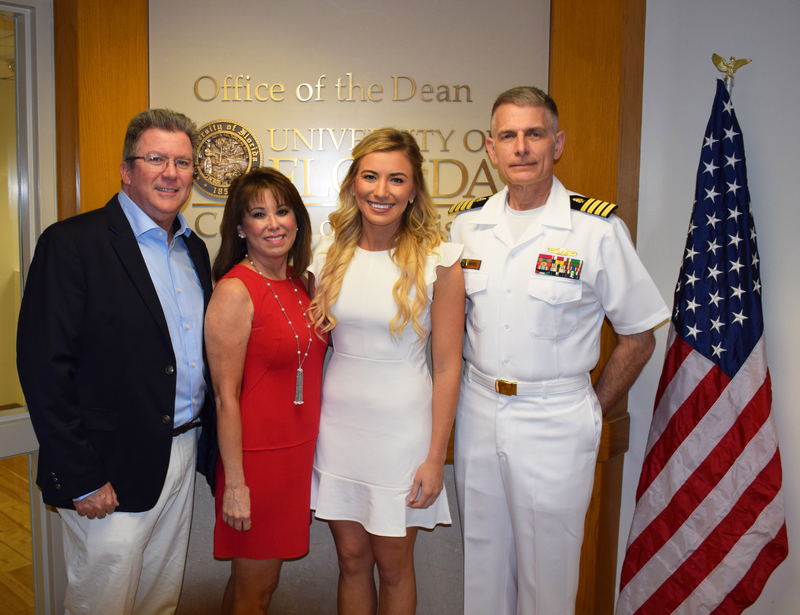 The occasion was made all the more special with Katie’s fellow D1s, her family, Dean Isabel Garcia, D.D.S., M.P.H., and Thomas L. Bowers IV, D.M.D., M.D., FACS – who performed the commissioning ceremony – all in attendance. 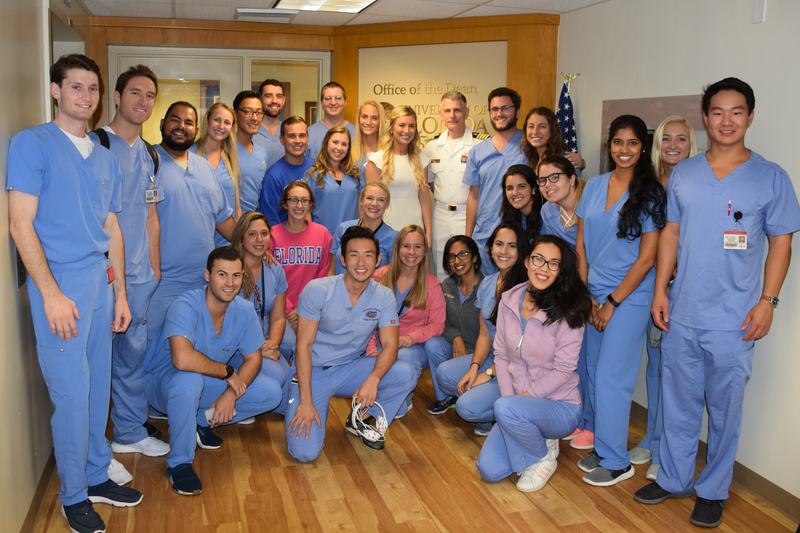 Bowers, a clinical assistant professor in Oral & Maxillofacial Surgery and undergraduate program director, practiced for three years with the National Health Service Corps before six years of active duty in the U.S. Navy. 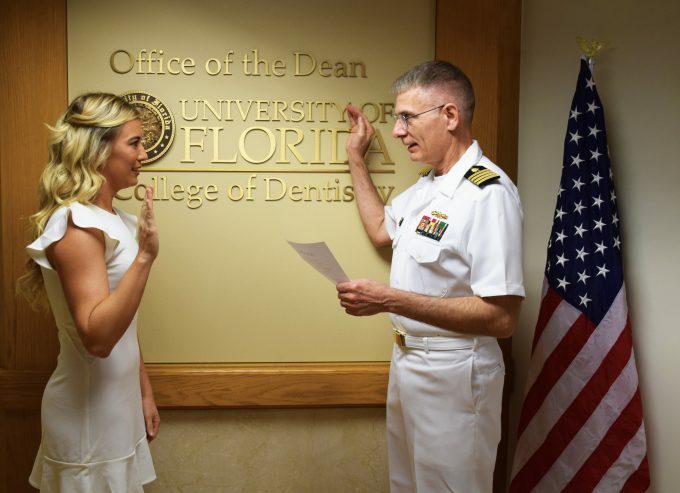 Richmond, a four-year Division I soccer player at UF and Southern Miss, will receive significant financial assistance with her dental school expenses in exchange to agreeing to serve for four years in the active component of the Navy, followed by four more years in either the active or reserve component. 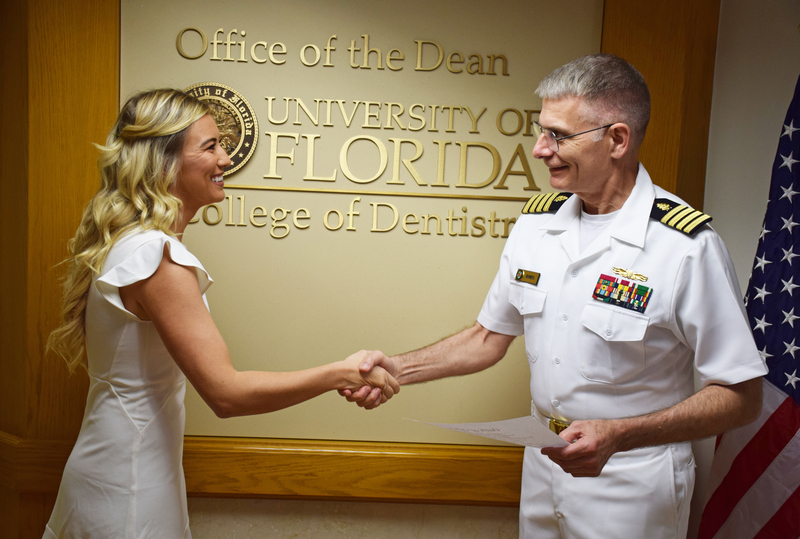 Following graduation and Officer Development School – five weeks of basic training for professionals – Richmond will have the opportunity to be selected for a General Practice Residency or Advanced Education in General Dentistry program prior to serving on an operational platform – a ship, with the Marines or with the Seabees (U.S. Naval Construction Battalions) – for two years. Richmond is the second UFCD student to be commissioned to military service in the last six months – in April, Sean Lan, was commissioned as a second lieutenant in the U.S. Air Force.